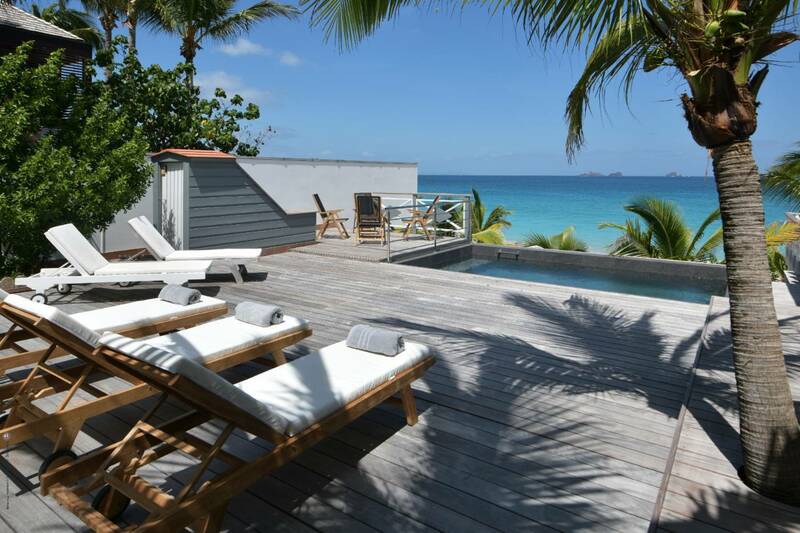 Dream About: A beachfront villa vacation – on gorgeous Flamands. 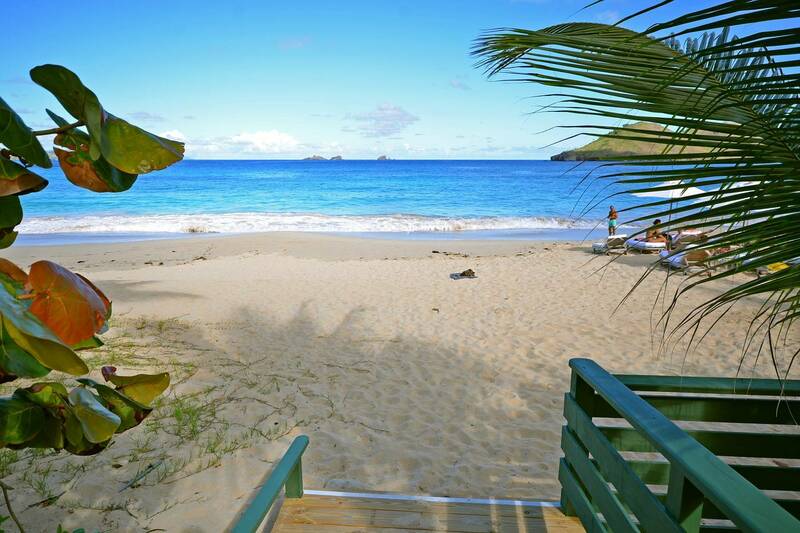 A classic Caribbean beach, Flamands lays claim to St. Barth’s pristine-white sand and its warm azure waters. 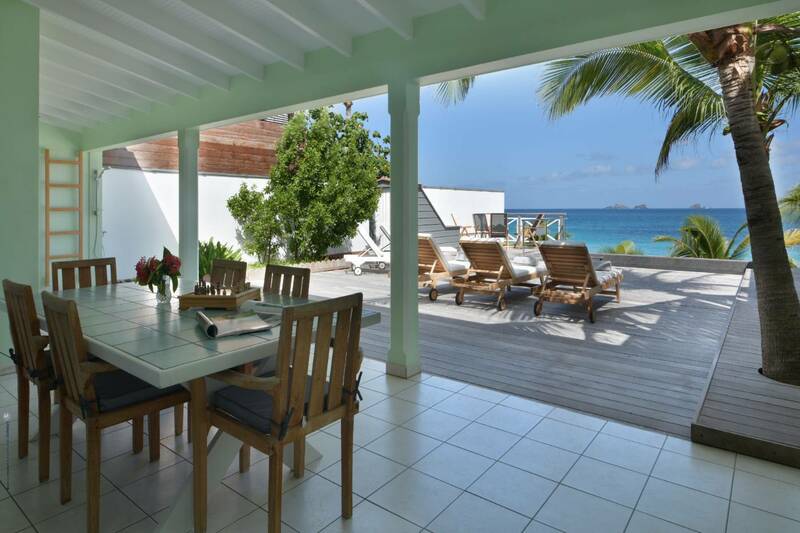 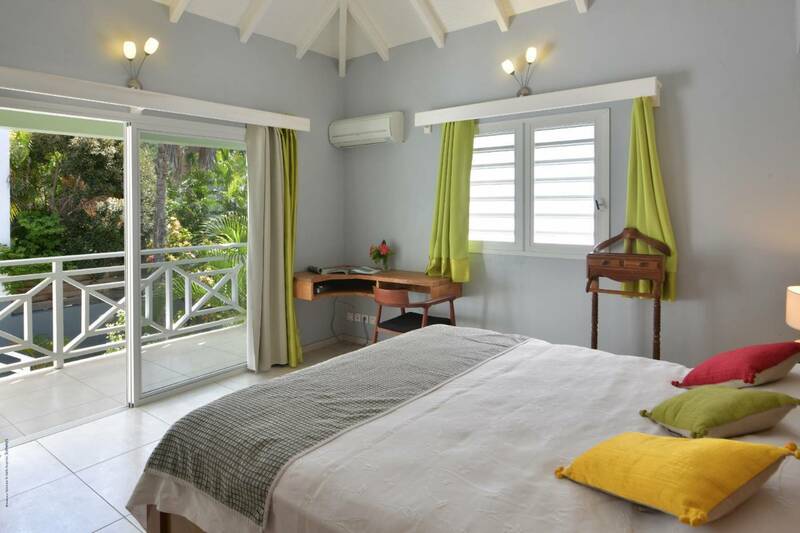 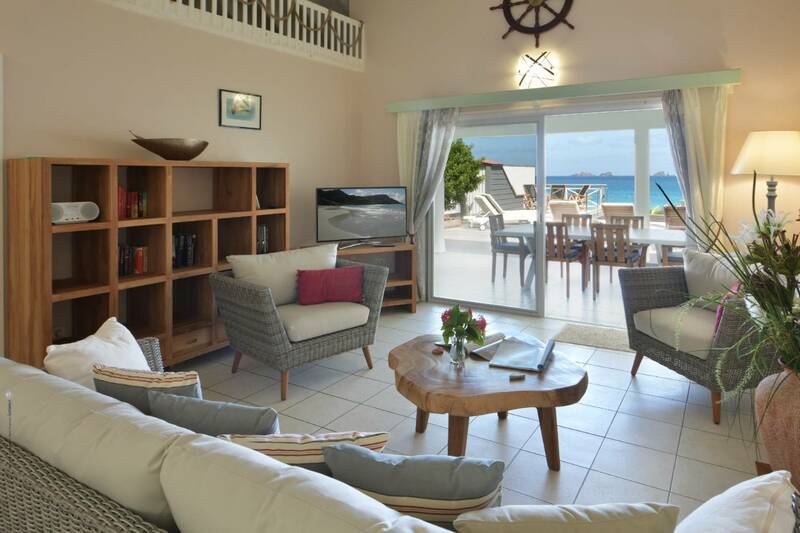 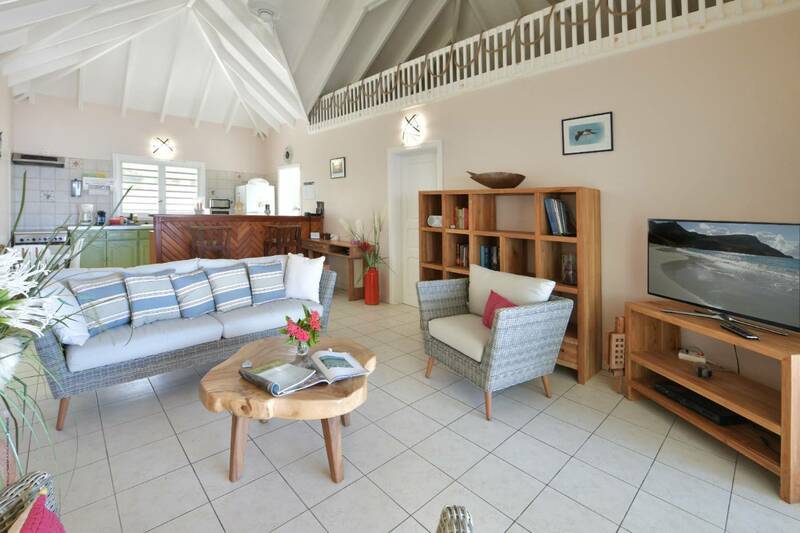 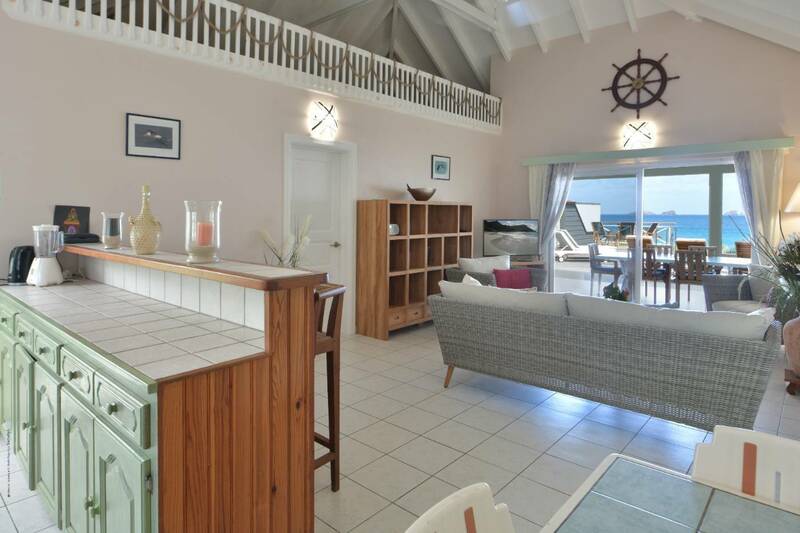 Villa Polaris is a "livin’-is-easy", 2 bedroom cottage just steps from the shore. 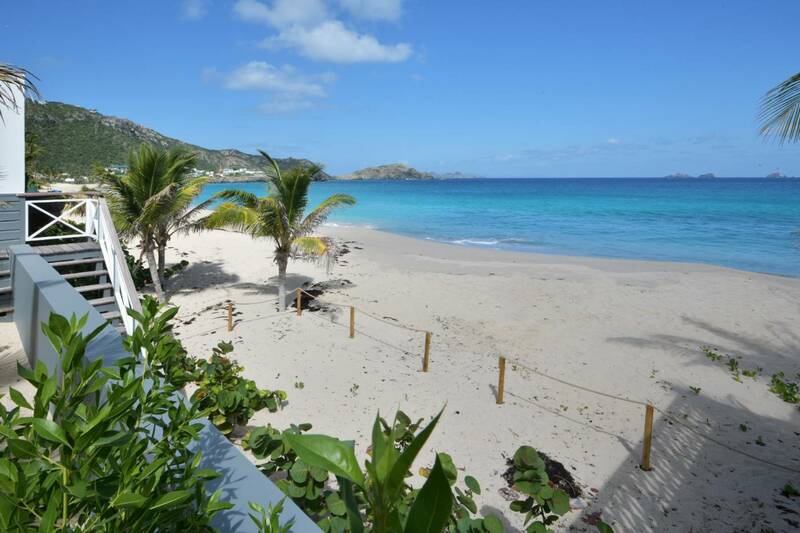 Beach-loving guests adore it! 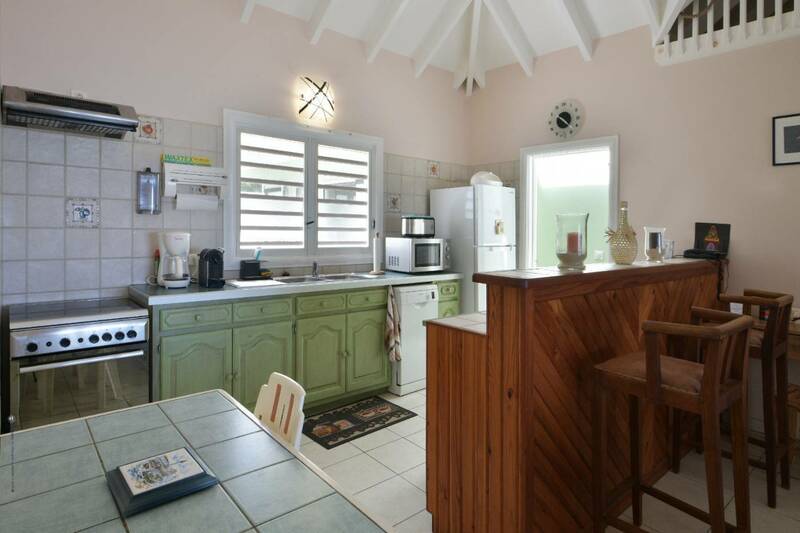 A kitchen and comfortable living room (with U.S. satellite TV) are separated by a breakfast bar and open to a covered dining terrace. 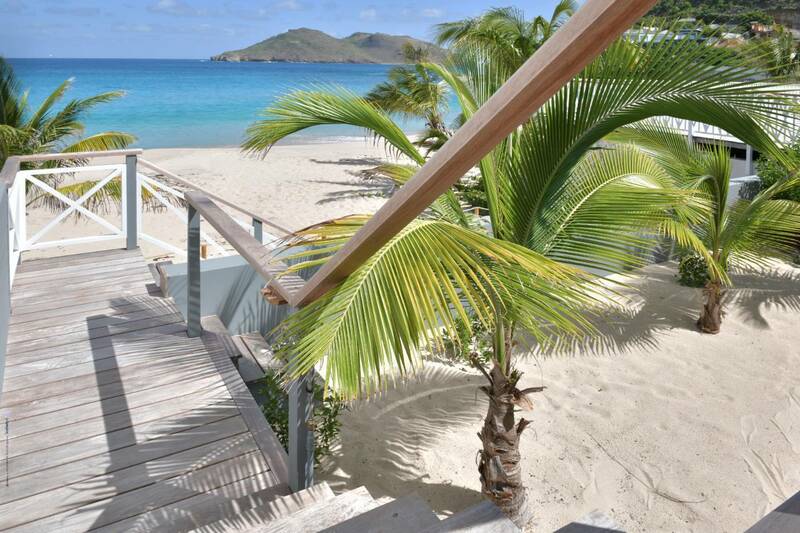 A palm tree-shaded deck is furnished with chaises; a staircase leads directly to the beach. 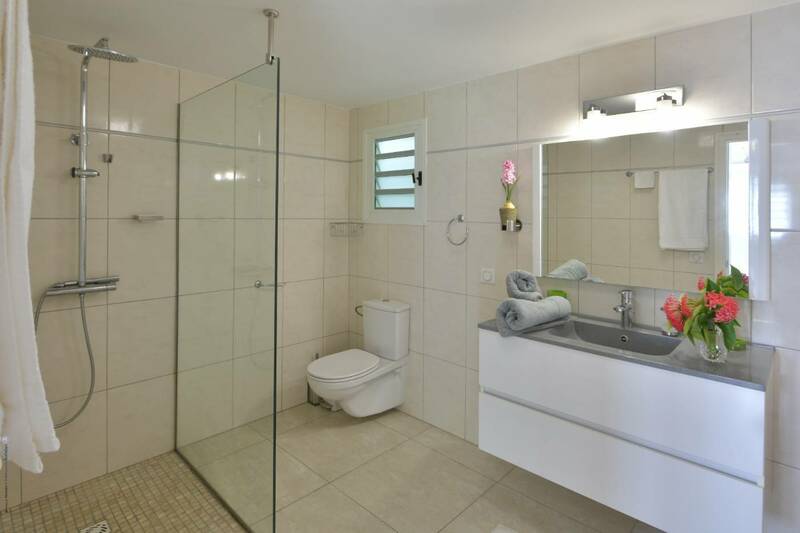 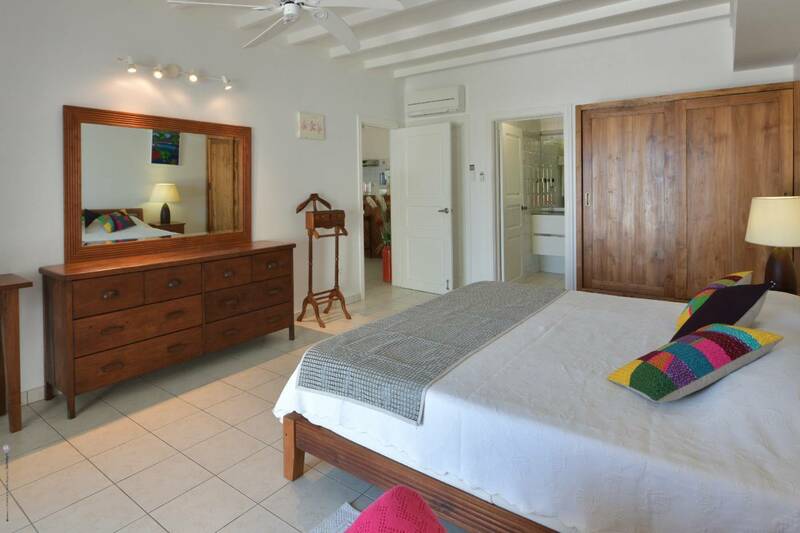 The configuration of the 2 air-conditioned en suite bedrooms is ideal for families; they connect via a corridor. 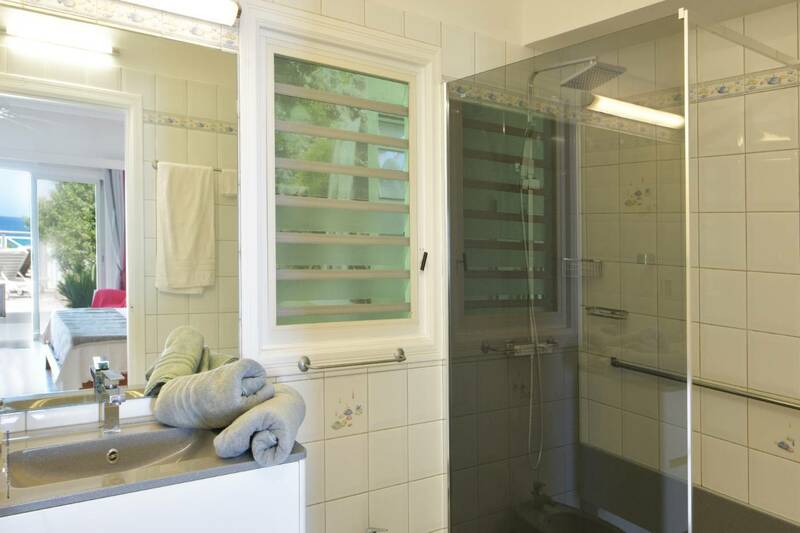 Additionally, the king-bedded master opens to the terrace via glass sliders. 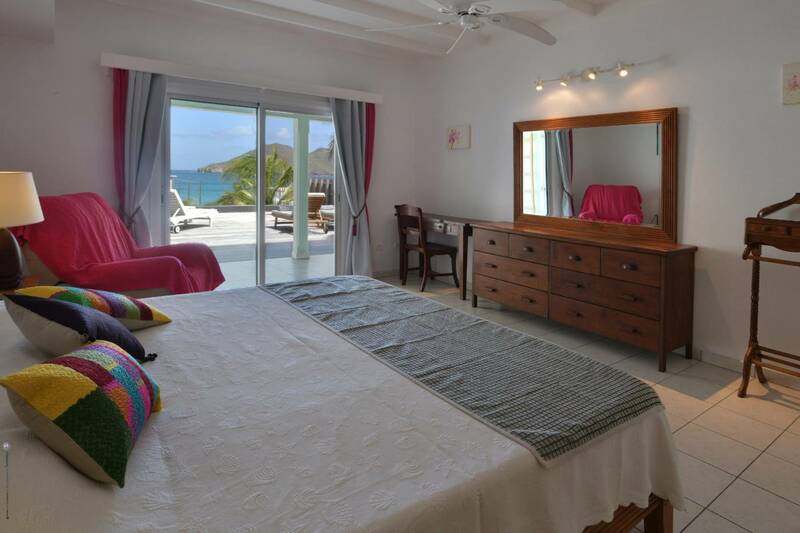 The guest bedroom has a French king bed. 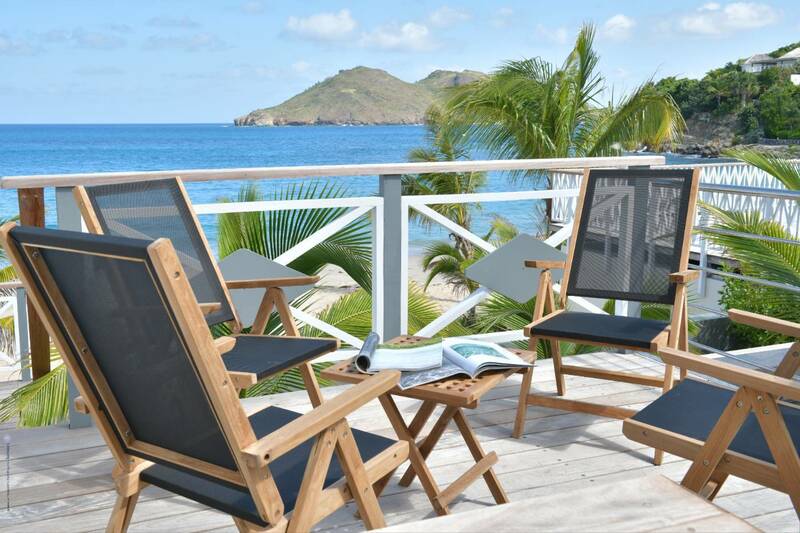 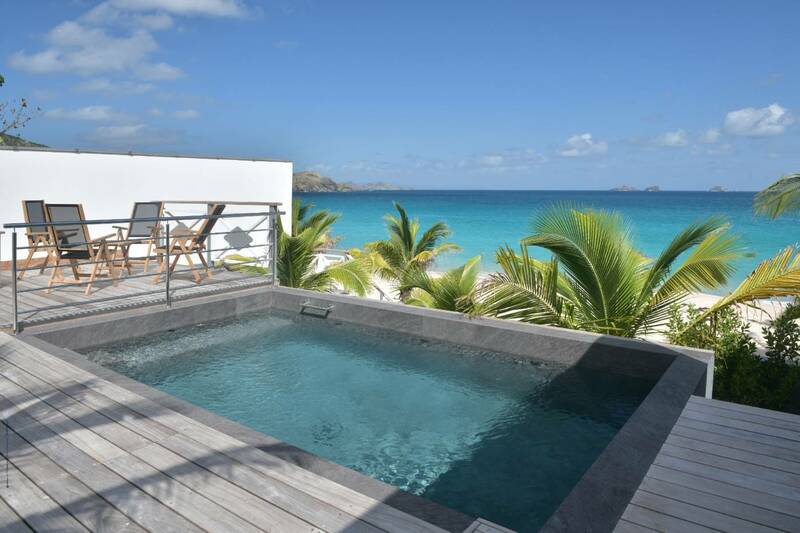 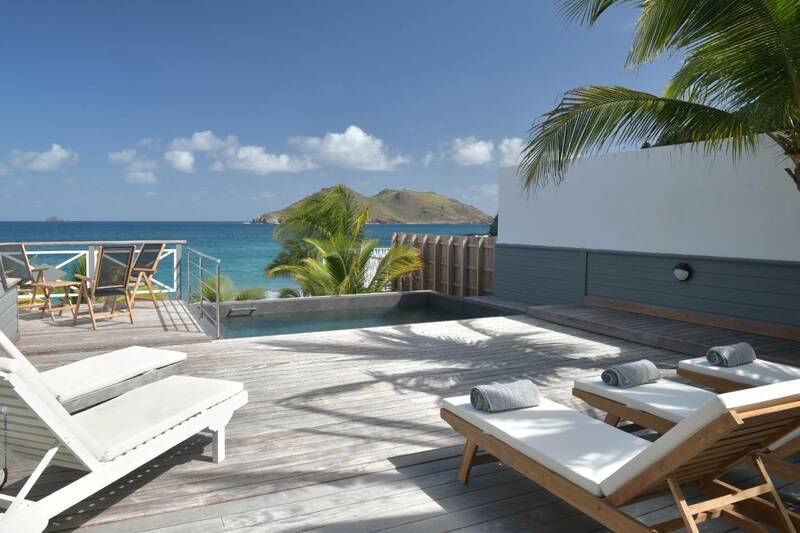 Polaris’ neighbors include the 5 star hotel Cheval Blanc St-Barth Isle De France – with its sumptuous spa and beachfront venues for cocktails and dining. 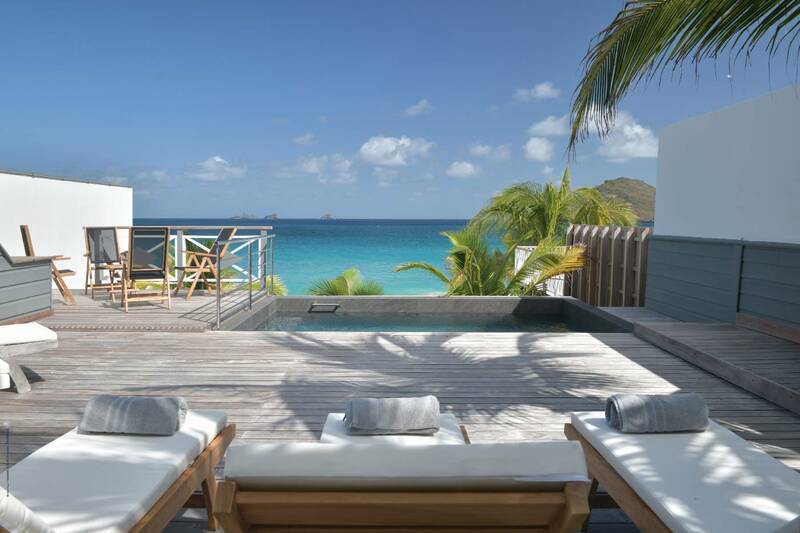 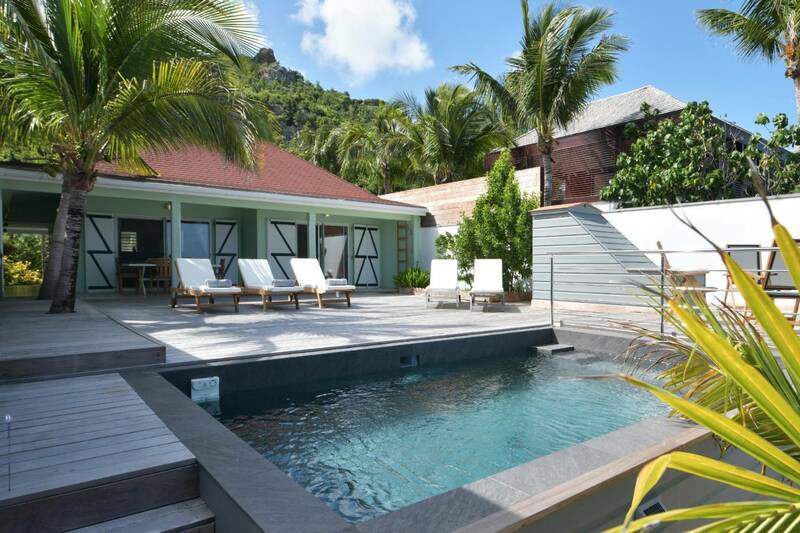 Strolling over to the 5 star hotel Cheval Blanc St-Barth Isle De France for a leisurely lunch and a bottle or rosé. 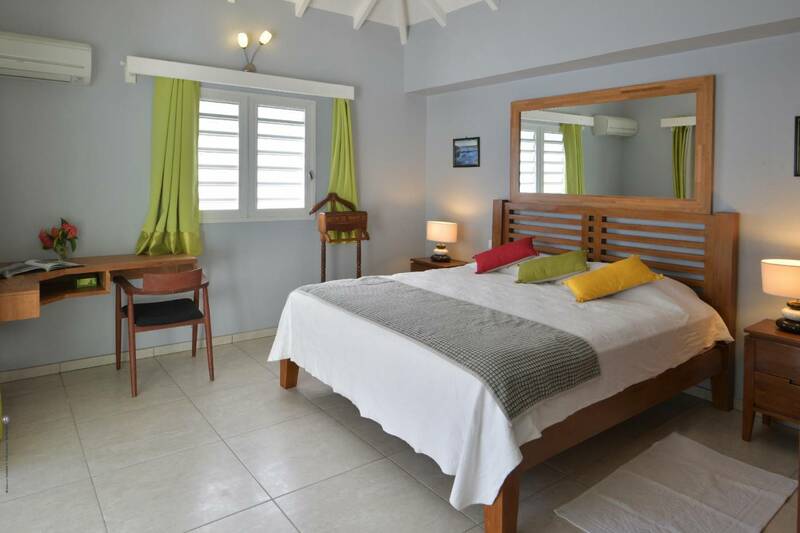 A cozy cottage with 2 en suite bedrooms just steps from the water; covered dining terrace and deck.